The ancient Greeks excluded women from the Olympics. When the modern games were reinstated in 1896, the ban was continued. But in the next Olympiad in 1900, women were included. It was not until 1932 that the first African-American women were selected to participate in the Olympics in Los Angeles, California. Since that eventful year, more and more black women have participated in the Olympics. Now they compete in all areas of track and field, tennis, basketball, rowing, volleyball, and figure skating. This book highlights some of the accomplishments of these Olympic medalists and attests to their magnificent representation of our country abroad. 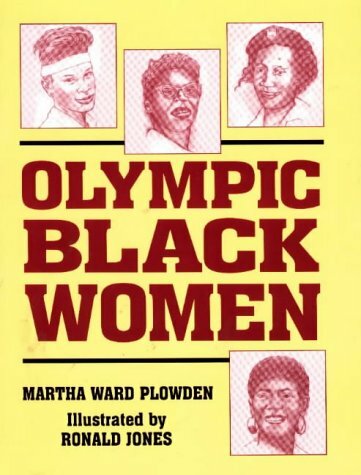 With a brief biographical outline and a listing of each award won, Martha Ward Plowden brings to life some of the worlds greatest athletes. Included is a timeline of participants in each Olympics, a listing of Olympic sites through the years, a glossary, and suggested reading. An excellent text for history classes, Olympic Black Women is a tribute to the accomplishment of Olympic women throughout the years. Martha Ward Plowden holds a PhD in curriculum and instruction from Walden University. She served with the Georgia State Conference of the National Association for the Advancement of Colored People (NAACP), the Atlanta Branch NAACP, and the Atlanta Urban League. Plowden was the first state coordinator of the Academic, Cultural, Technological, and Scientific Olympics (ACT-SO) Program for the Georgia State NAACP and is a Golden Life member of Delta Sigma Theta Sorority, Inc. She is the author of two previous books, Famous Firsts of Black Women and Olympic Black Women, both with Pelican. Plowden and her husband, Nathaniel, have one daughter, Natalie Tyler Martin (Clinton). Ronald Jones is art director of the Neighborhood Gallery in New Orleans. Through the gallery, he promotes the works of local black artists and their visual, creative, and performance arts. He holds a master's degree in art education from the University of Minnesota.